Run out of roof and still want to save? Solar power by itself is very cheap energy, but the problem with solar energy alone is that it’s only generated during the day. So we need to store it to provide a total 24-hour energy solution. 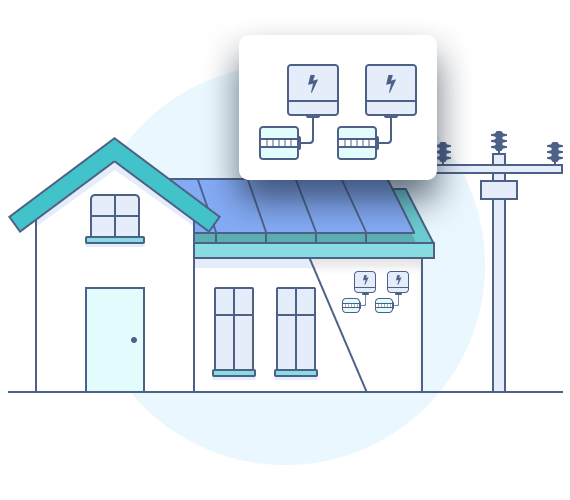 Solec Industries can cater a Hybrid solar that will Combining energy storage with a grid connection to your property, hybrid systems can provide the flexibility of being able to store the energy you generate during the day from your solar system instead of feeding it back into the grid – typically at a low feed-in tariff. This energy can then be used in the evening and peak times instead of buying power back at a higher price. These systems do not require you to be a first time customer either, if you have a 5kw or greater size system already installed and still having increasingly large bills, these hybrid install could be your solution to assist in lowering you bill. The system does not impact of your general usage through the day and can connected to ensure you never loose power again. That’s right never loose power!! The back up batteries can supply enough juice to keep you essentials running when the grid goes out. As you can see however, even when we factor in the addition of storage costs solar is very competitive when amortised over 10 years. And as the current batteries on the market only have a lifespan of approximately 10 years (3,000+ cycles), the amortised cost of energy over that period is now more cost effective than buying power from the grid. With years of tough and hard work, the team come together to produce the happiest customers. Our team is not only a company with visions and a dedication to the environment and renewable energy we help out with electrical faults and breakdowns.